Maybe Jerry Seinfeld is bored these days? Maybe he doesn’t have any better ideas for a television show than the one he’s set to produce next season on NBC called “ The Marriage Ref”. 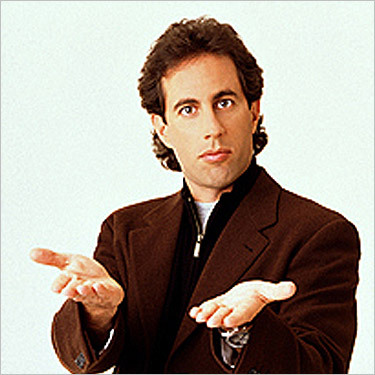 That’s right, comedic high-flyer and star of the hit 90’s sitcom “Seinfeld” is set to make a return to television behind the camera at this point producing a new comedy show Marriage Ref. The premise behind the show is that a married couple are involved in an argument that could quite possibly end their marriage, and celebrity guests appear on the show as “referees” of the argument to determine who is right and who is wrong. A statement was released by Seinfeld which stated that the new show is not a therapy show, but a comedy show. I personally think its a bad idea for such a comedic genius to dabble in the crapness that is reality television, but on the other hand some great comics have turned out successful shows based on real life (Curb Your Enthusiasm?). I’m interested to see what Seinfeld does with this idea and will have to check it out. ← Microsoft To Release Windows 7 In September?